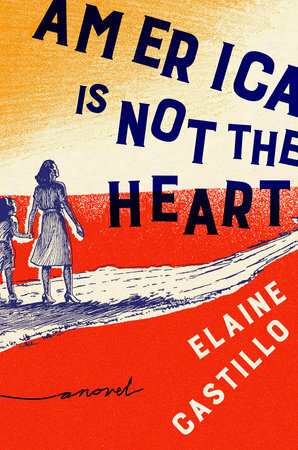 I'd like to get a copy of Elaine Castillo's America Is Not the Heart, her first novel. Eleanor Pritchett, writing for The Paris Review, smiled after reading it. This is Castillo’s first novel, and it is masterful. It has drama and tragedy in spades, but it also has so much love of every kind spilling out of its pages that I closed it each night with a huge, warm smile. I might go home and read it again. I think it was the writer Miguel Syjuco who said that we're not a reading nation—we don't have a reading culture. Novels and books don't figure into our every day, and they're not strong enough to be the subjects of conversation—a baffling phenomenon, considering this country has Jose Rizal's novels at the heart of her history. A chicken-and-egg problem, whose solution escapes us: writers are not writing enough because nobody's reading them; they're not being read because books by Filipinos are hard to come by. This is why I'm on the lookout for things written by Filipinos. Castillo was born and raised in America, but her story seems like something that's closer to home, too.